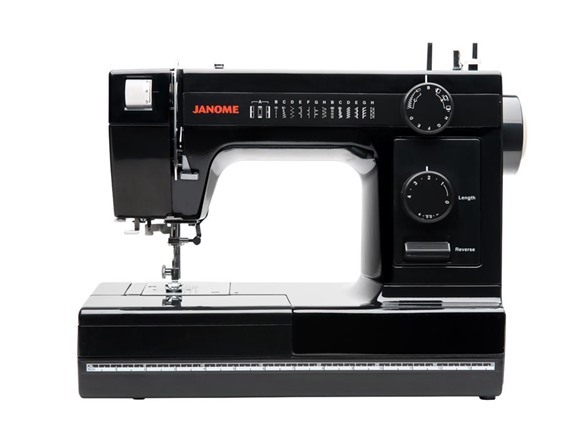 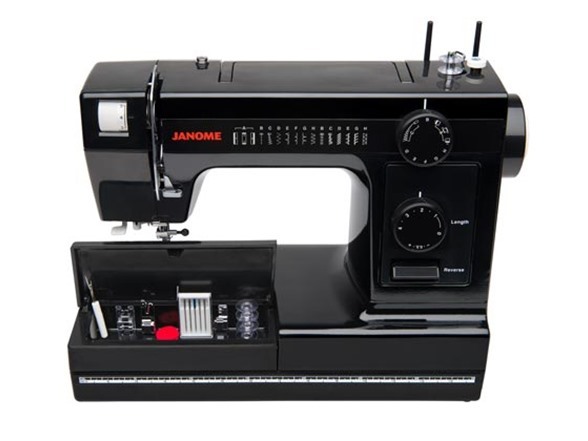 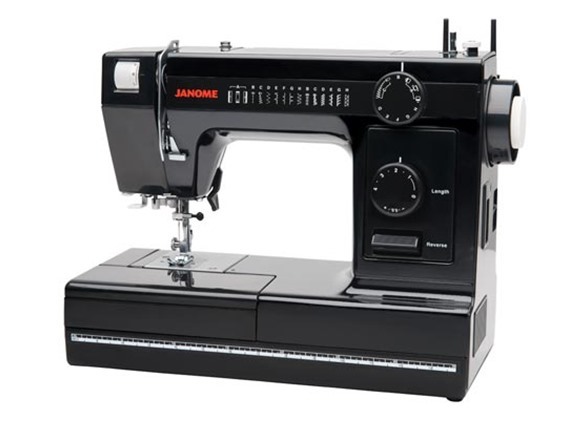 Black Edition by Janome provides super sturdy construction and easy to use features for a dependable and enjoyable sewing experience. 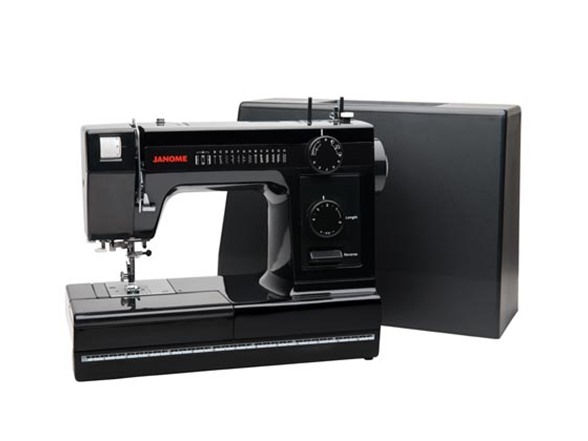 Whether it be a piece of garment, accessory or a home décor item, you can create the project you have been dreaming about using the HD-1000 Black Edition's 14 built-in stitches and one four-step buttonhole. 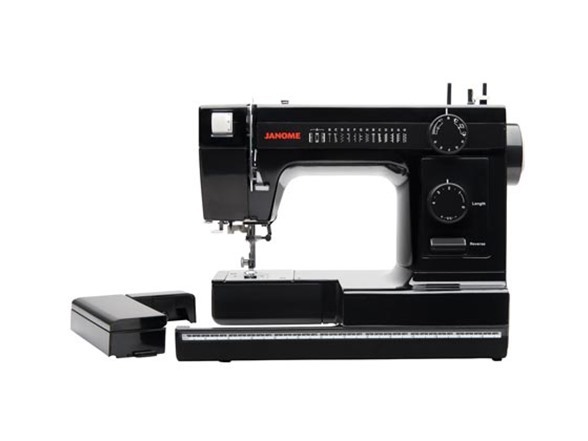 The HD-1000 Black Edition comes with a special accessory pack. 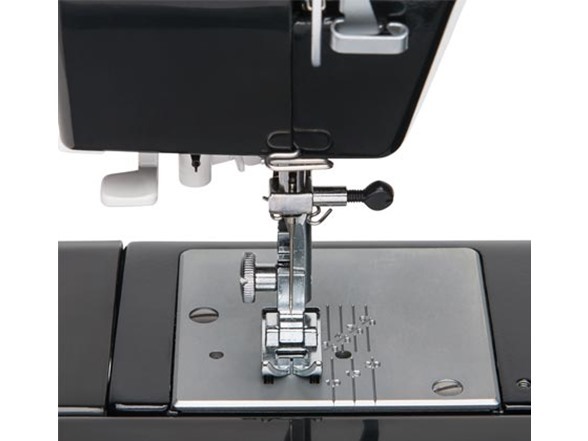 The Ultraglide Foot is molded from a special resin, allowing easier sewing of fabrics that may otherwise stick to the standard metal foot such as leather, suede, vinyl and plastic. 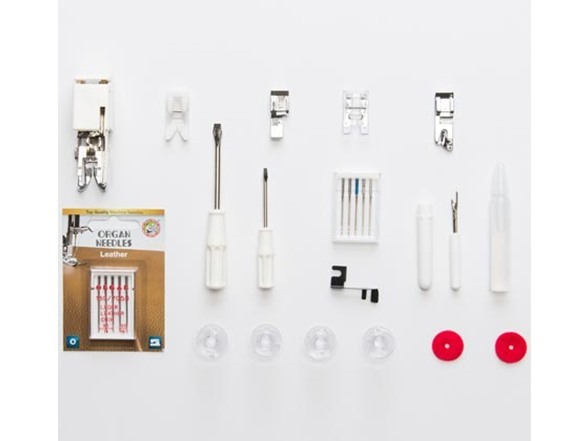 The included 5-pack of Leather Needles can help make professional-looking leather projects. 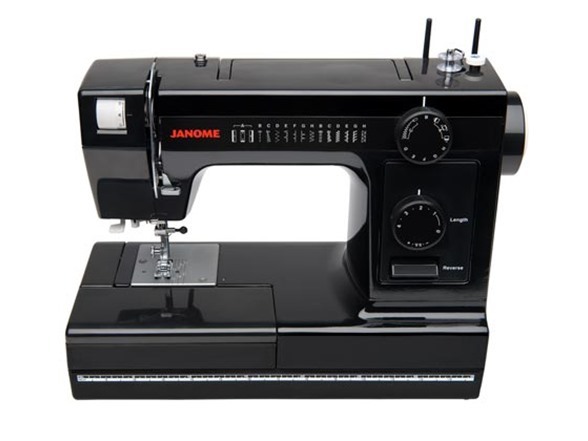 Machine Size W 15.6" x H 12.4" x D 6.3"
Work Space W 6.4" x H 4.7"